DC’s latest film, the long-awaited Wonder Woman, is currently winning rave reviews ahead of its international release on June 1. There’s plenty of praise for Gal Gadot, who first portrayed the heroine in Batman v Superman: Dawn of Justice, but special mention must be given to the sets used to bring the world of the comics to life. The team behind the film, led by director Patty Jenkins, were keen to find the perfect starting point for the movie. The most difficult challenge was bringing to the screen a world steeped in Greek mythology. Diana (Gadot) is brought up on the isolated paradise island of Themyscira by a group of Amazonian warriors. Her mother, Queen Hippolyta (Connie Nielsen) is determined to protect the precocious youngster from the wars of the world outside, however Diana’s aunt (Robin Wright) feels like the only way to protect their home is to train her niece. Gal Gadot | © Warner Bros.
‘When the comic originally came out, people had not travelled so extensively to Greece and Rome, so they were considered completely exotic. 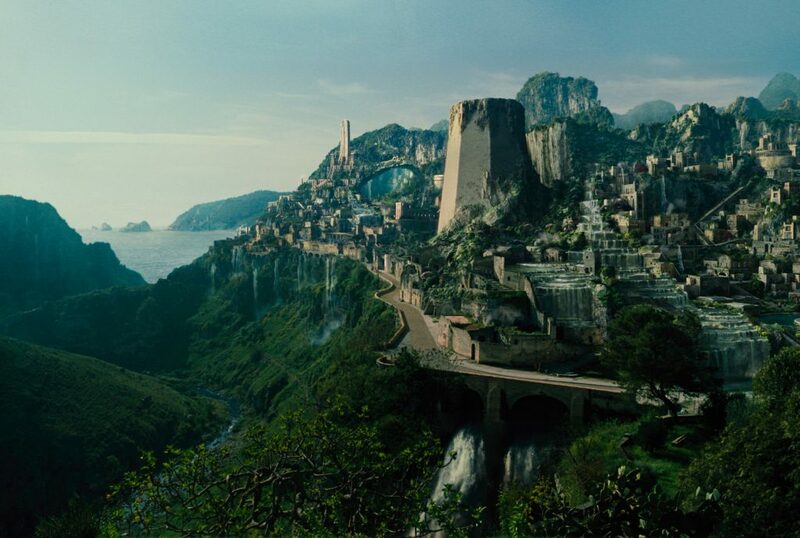 I wanted our Themyscira to inspire awe like it did originally: a fantastical place that nevertheless feels like it could really exist…not primitive but not futuristic, either,’ says Jenkins. The world of Themyscira in Wonder Woman | © Warner Bros. Instead of Greece, she and her team found inspiration off the coast of Italy. The brief was to find a location that was able to convey the majesty of Themyscira with a sense of wonder, akin to the ancient world of The Hanging Gardens of Babylon. The remote island had to look exotic, yet with a sense of tranquility. In addition, the location team had to incorporate a vast beach to be used for a pivotal battle at the climax of the first act of the movie. The process of finding the perfect inspiration for Themyscira involved researching 47 different nations and visiting several of them. 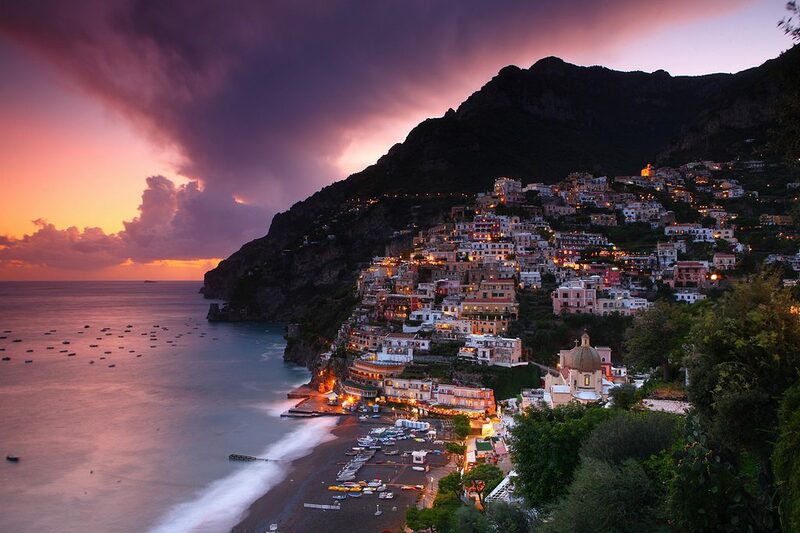 Ultimately it was the stunning Amalfi Coast that proved to be the winner. 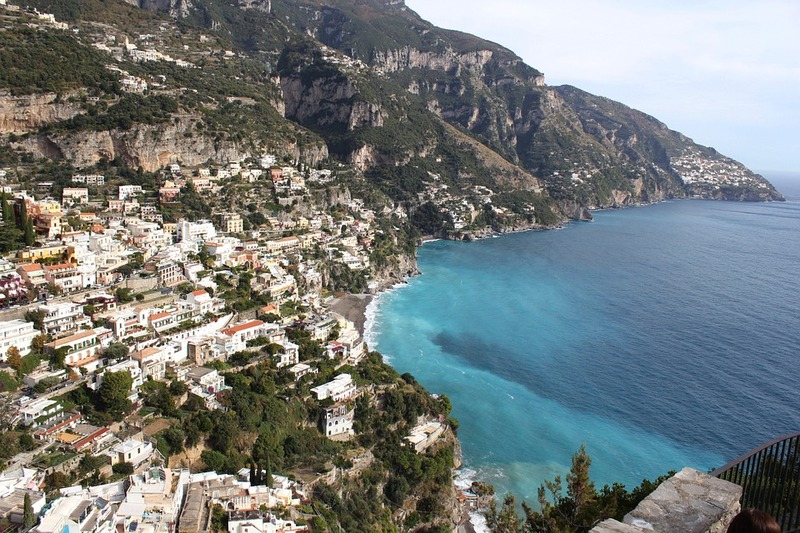 ‘Italy had beautiful weather, a beautiful blue-green sea, not too much tide, not too much wave. Our effects team added some cliffs in post, and it was the perfect way to go,’ Bonetto adds. 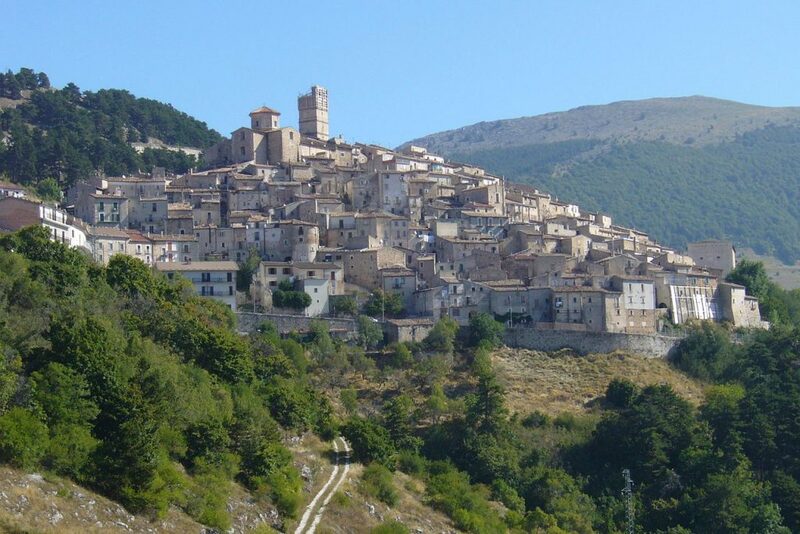 Other locations used in the film include the cheerfully titled ‘Happy Village’ and Castel Del Monte, both in Italy. Italian coastline | © Warner Bros.
Gal Gadot as Wonder Woman | © Warner Bros. The tonal shift in visuals is obvious. The drab browns and greys of a war-torn city are the direct opposite of Diana’s home, and as such they help portray the inevitable sense of a character out of her comfort zone. 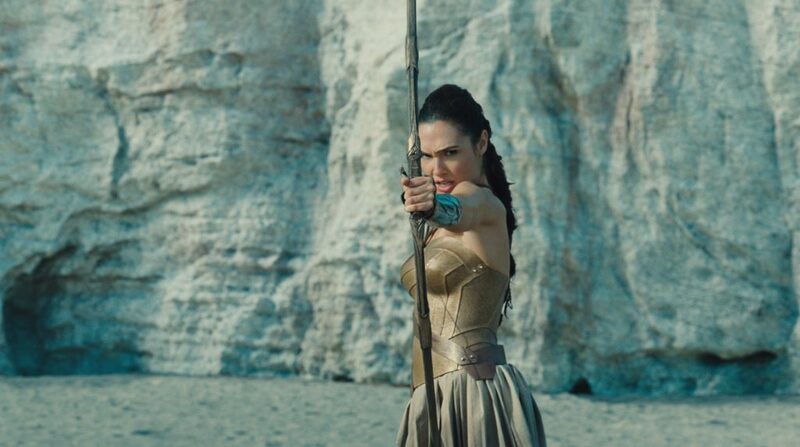 With her striking looks, determination to stop evil and less-than-conservative outfit choices, Gadot’s character also sticks out against the backdrop. 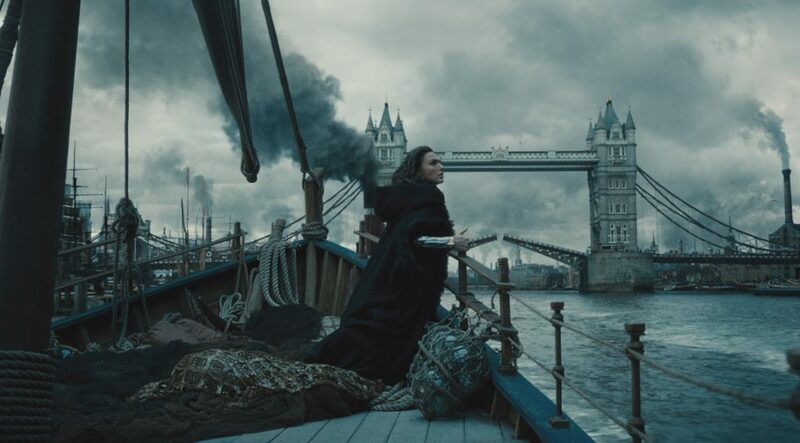 Similarly, the train station in the film is meant to be Paddington, but following extensive renovation for the 2012 Olympics, it was King’s Cross that was shut down for two days and turned into a 1918 steam engine departure point. 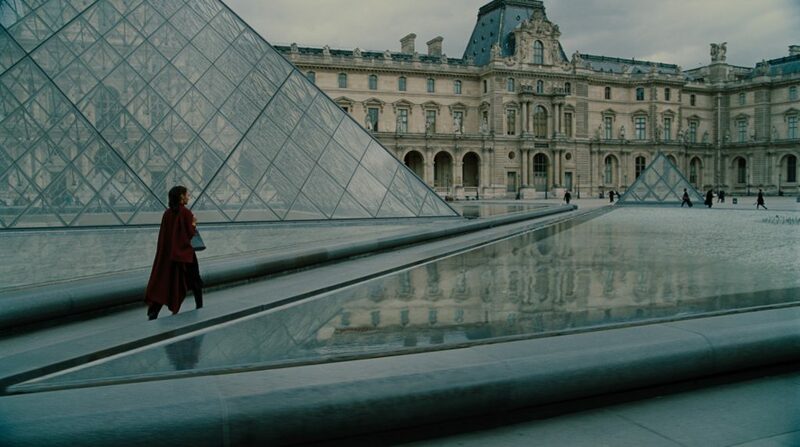 The first location we see in the film is modern day Paris. Diana is working here and receives a message from a close friend that triggers her memories. This serves as the plot device that bookends the movie, and seeing gadgets surrounded by ancient artefacts seems utterly compelling in the French capital. La Louvre | © Warner Bros.